The Institutional Capacity Building and Strengthening of the Water Resources and Energy sectors of Liberia is a contract that is signed and in effect between the Norwegian Water Resources and Energy Directorate (NVE), and the Liberian Ministry of Mines and Energy (MME) to implement an Agreement (Program) between the Governments of Liberia and Norway. This Program is a 5-year (2010 – 2015) program that was signed in 2010. The goal of the Program is to contribute to the economic and social development of Liberia, and the main purpose is to increase the professional level, knowledge and the capacity of the staff at MME, and other agencies (RREA, LEC, etc.) 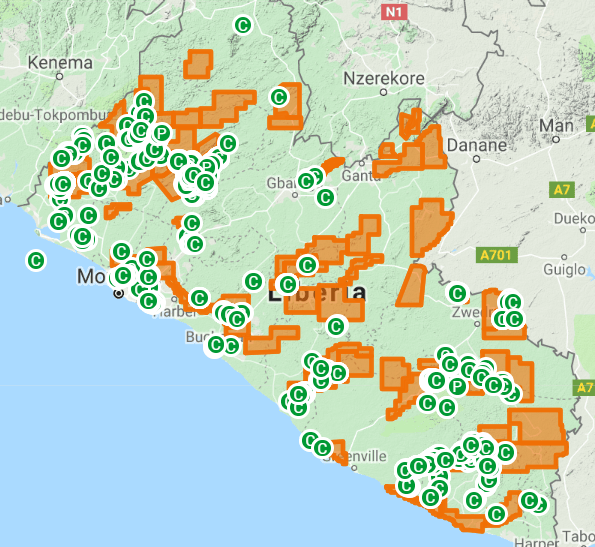 within the electricity and water resources sectors of Liberia. 5. Rural and renewable energy; and Gender aspects and women’s empowerment. MME is responsible for the planning, administration and implementation of the tasks mentioned above, including adherence to budget and decisions of the parties to the Program Agreement. NVE assists in the implementation of the tasks. A Steering Committee (SC) was established in September, 2011 consisting of the Program Manager (appointed by the Minister), one person representing each of the agencies and/or sub-projects that are specifically relevant to the implementation of the program, including the MME-Bureau of Alternative Energy (BAE)/DOE, MME-Liberia Hydrological Services (MME-LHS), Rural and Renewable Energy Agency (RREA) and Liberia Electricity Company (LEC). In addition, NVE’s Project Director and long-term energy adviser are members of the SC. A high-level Annual Meeting and a possible Semi-annual Meeting are held once a year between representatives of both the Governments of Liberia and Norway. NVE is an observer at these meetings.